Grand Prix Racing Online provides a world of gaming which is open to both first-timers and experienced players. With the ever-expanding industry that is eSports and online racing, it can be tricky to find a way in and one where a rookie can get up to speed without being put off against established players. But with Grand Prix Racing Online, a racing management game which first arrived in 2005, it provides a whole world of gaming which is open to all from first-timers to experienced hands. GPRO is the hallmark of long-term racing strategy gaming which sees planning, financing and information use as key components to success at all stages from the beginners to the top elite group battling for the world championship. The premise is each player manages a racing team, along with the driver and the car, and must prepare everything to win a race. If you ever fancied stepping into the shoes of Toto Wolff or Christian Horner then this is the game for you. 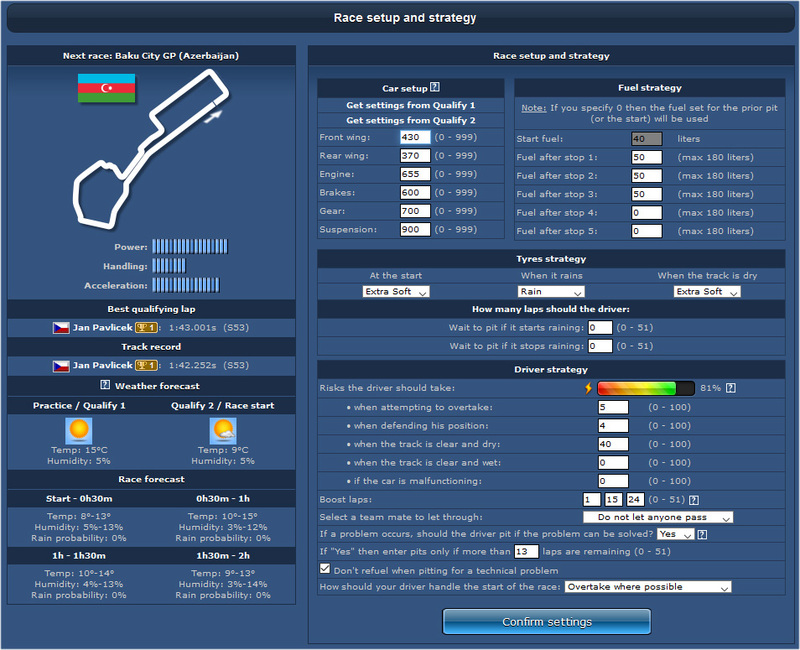 With each season lasting roughly two months, every round of races are simulated live twice per week (Tuesday and Friday 20:00 CET) with full graphically-illustrated races show live and on replay. Players can also join with friends to form an alliance and compete in the teams’ championship, while working together to improve your understanding of the game. 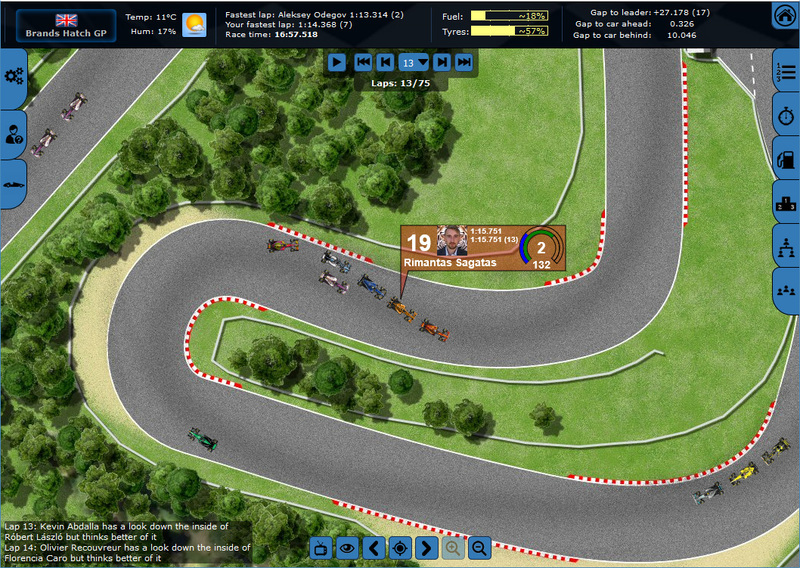 The game includes exciting features like the live race screen where players can see all cars in the race in real time, with cars getting overtaken, blocked and pitting with telemetry provided in the live statistics. All strategy is completed pre-race – so players don’t need to be active in the game during races – with all settings frozen 90 minutes before each race. All features in the game reflect real life decisions team bosses must make including the hiring and firing of team personnel, car development, factory building, controlling the teams’ finances and, of course, race set-up and strategy. While no live strategy is in action, GPRO provides determined variables before the race, so in-race decisions canbe decided to cover any situation on car damage, refuelling and weather. Players can also opt for how much risk or aggression can be used in each race depending on the targets each team has per round. Every gaming tier in GPRO has built-in features, allowing players in the lower divisions to get to grips with the game and avoid going up against experienced or highly-skilled rivals with established teams. So, if you are a fan of F1, MotoGP or any kind of motorsport and like manager and multiplayer games, join now for free!